Great for bookbinding, crafts and art projects, this 5-ply natural linen thread is lightly waxed for easy use. This set includes three 20 yd. 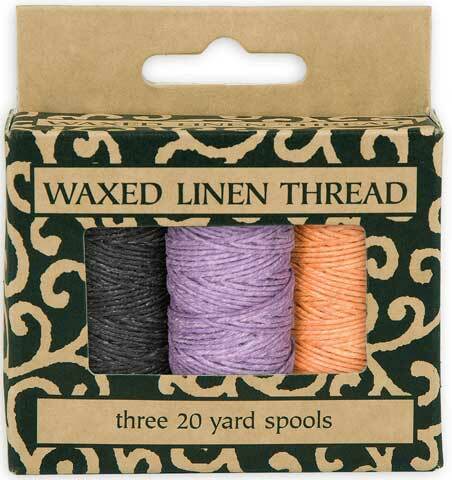 spools of black, orange and purple, sure to enhance the look of sewn projects.